Investing in ourselves always seems to be the last thing we think of when deciding how to spend our time and money; it should be coming in close to the top of our priority list, and yet it isn’t. Stress alone is one of the largest causes of disease in the world and yet people seem to value stress as an expense of having a successful life. The busier we are, the more stressed we are, the more successful we appear. The less we care for ourselves the more (apparently) we have to give to others when in fact it is actually the opposite. According to the mayo clinic, stress is “when your brain perceives a threat it releases a burst of hormones to fuel your capacity for response. This has been labelled the “fight-or-flight” response.” And “Unfortunately, the nonstop stress of modern life means that your alarm system rarely shuts off.” This is why stress management and self-care is so key to shut off this alarm system and allow for a healthy AND successful life. The human body can only take so much stress before it buckles under the pressure and you start getting sick frequently, headaches from staring at screens, shoulder pain from hunching at the computer and driving long hours to get to work and sit for extended periods of time. So when you’re in pain or sick, how much are you really able to give to others? Do you want to be playing with your kids when you have a pounding headache? Can you go out for dinner with friends when you’re suffering from the dreaded winter cold? How much is too much before your body starts telling you to slow down? Not only are you less able to care for others if you are run down and lacking in self-care but dang it you deserve some care too! It’s not just about caring for yourself to be able to give back, self-care is actually for you (shocking I know). Living in the world of google and pinterest (yes pinterest is my google) you just have to search the words “self-care” to come up with a million hits and tips of how to take a moment for yourself in a busy day to either go for a walk, meditate, get a massage (best self-care ever!) But how many of us really follow all of these tips and tricks on a daily basis? Even massage therapists who receive whole classes on self-care can get very busy and start slacking on ourselves. 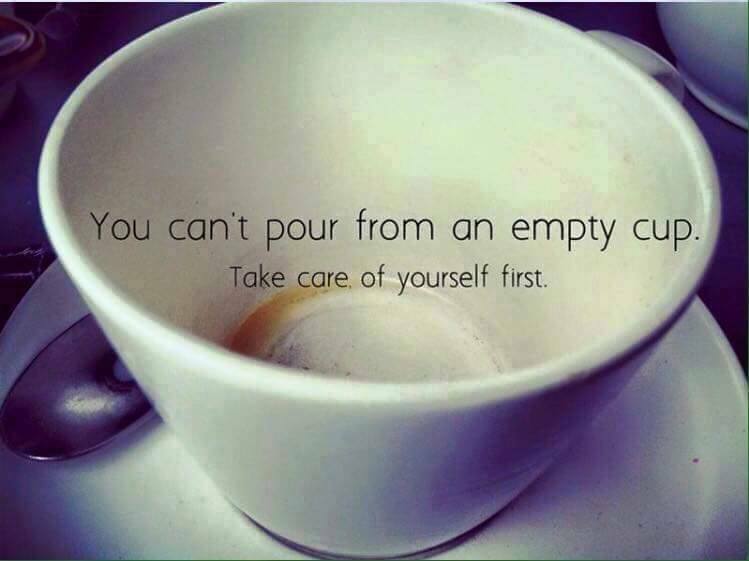 We all know how best to care for ourselves but we rarely take the time to do it. Why? What’s holding us back? Is it time? Money? Guilt of “treating” yourself? What is your barrier to self-care? Personally I use time as a reason/excuse to avoid my own self-care. Unless I schedule time for myself to go to my workouts, have coffee with friends and get a massage, I simply don’t do it because it doesn’t come on to my radar until I am rundown or sick. Massage may be a more time consuming method of self-care but in my opinion it pays off in more ways than many other forms of self-care (and you can always request shorter sessions). Showing yourself some love and booking a regular massage can help improve your quality of sleep, reduce blood pressure, boost immunity, reduce anxiety and help to manage chronic aches and pains. Do you ever get stressed and suddenly that shoulder ache you haven’t had in months is back in full force? Do you “throw your back out” when you’ve been busy and neglecting yourself? Making massage a regular part of your self-care routine can help to reduce the frequency of stress flare-ups and increase your self-awareness to stressors on your mind and body. Being more mindful of our bodies is something everyone needs because if you don’t take care of your body, where are you going to live? The best way to care for ourselves is just to start. Start scheduling time for yourself, set alarms and reminders to do what makes you happy whether it be going for a walk or watching your favourite show. And book your time with your massage therapist because your body deserves to be taken care of! Next Next post: Young Living with R.C.